Successful social work practice is underpinned by knowledge, theories and research findings from a range of related disciplines, key among which is psychology. This timely book offers a grounded and engaging guide to psychology's vital role at the heart of contemporary social work practice. The book skilfully addresses some of the central theoretical developments in psychology from an applied perspective, and explains how these make essential contributions to the methods and theory base of social work in ways that foster critical evaluation and promote best practice. 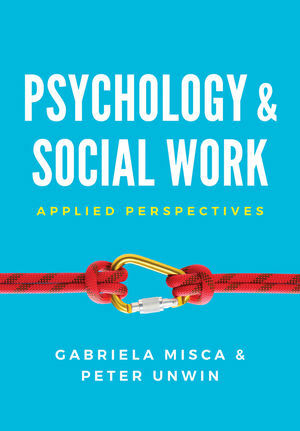 Written by two authors with extensive backgrounds in psychology and social work respectively—as well as a deep understanding of the intersections of the two—this book delivers a unique synthesis of perspectives and approaches, focusing on their application to the lives of individuals and families. Each chapter contains reflective points and case studies based on contemporary practice realities which are related to the Professional Capabilities Framework for Social Workers and also to the Health and Care Professions Council's Standards of Proficiency. Times have never been more challenging for social work and this book will be an invaluable source of professional support within the ever-more complex psychological worlds where social work takes place.